A Porsche Cayenne has set a new Guinness World Records title for heaviest aircraft pull by a production car. 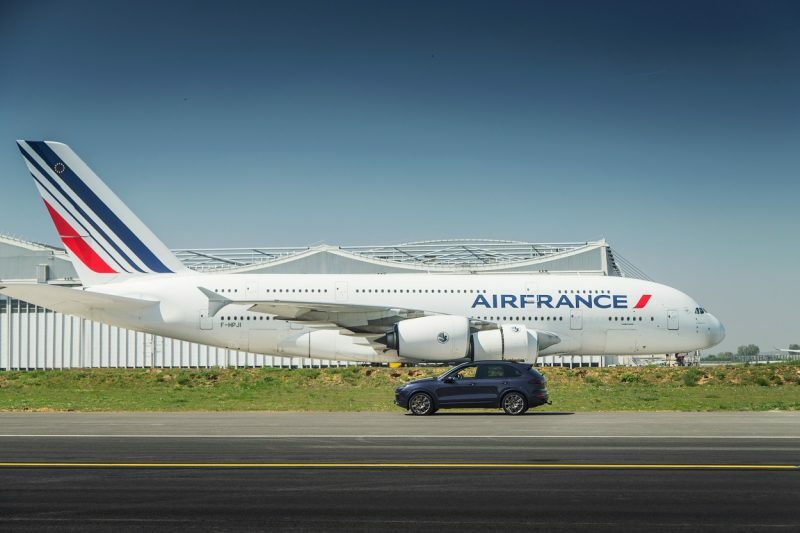 The completely standard Porsche SUV successfully towed an Air France Airbus A380, weighing 285 tonnes, over a distance of 42 metres at Charles de Gaulle Airport, Paris – beating the previous record by a margin of 115 tonnes. Air France devoted its state-of-the-art engineering hangar and one of its fleet of 10 giant A380s to the project. The 60,000 square metre hangar, which is large enough to house more than 3,000 examples of the Cayenne, was designed specifically for the Airbus A380 and is usually home to all the engineering and maintenance activity for the Air France fleet. The contrast between the two machines was striking. 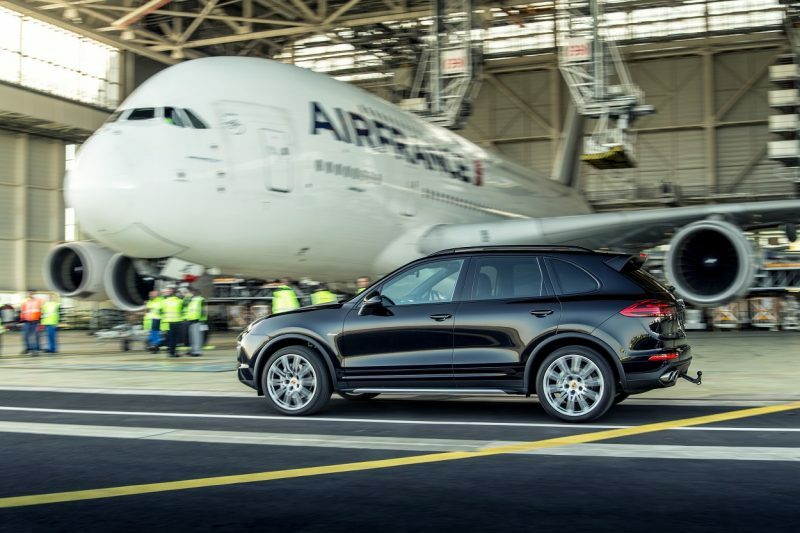 The Porsche Cayenne (measuring 4.8 metres in length) was connected to the most sophisticated and largest passenger aircraft in the world (73 metres long) via a special towing attachment that sat on the Cayenne’s standard tow bar. The Guinness World Records title was set first by a Cayenne S Diesel, producing 385hp and 850Nm of torque. 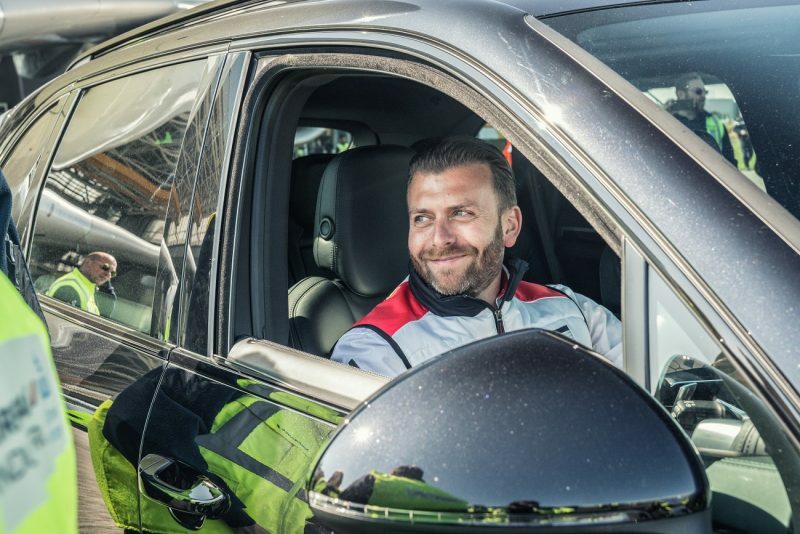 The exercise was then repeated using a Porsche Cayenne Turbo S.
Driver Richard Payne, a technician at Porsche GB, said: “It did it – I’m so relieved! We don’t usually go this far to test the limits of our cars but I think today we got pretty close. “I could tell that it was working hard but the Cayenne didn’t complain and just got on with it. My mirrors were quite full of Airbus, which was interesting. “Our cars can go a bit beyond what our customers might expect – they’re designed to be tough. But even so, what the Cayenne did today was remarkable – we drove the car here from London – and I plan to drive it home again, having towed an A380 in between. Gery Mortreux, Executive Vice President Air France Industries, added: “Like Porsche, Air France Industries KLM Engineering & Maintenance thrive on excellence and pushing engineering boundaries. “This achievement is a new illustration of the way AFI KLM E&M is able to adapt to specific requirements, and the passion we put on every challenge we take. New Porsche 911 GT2 RS is a Record-Breaker!